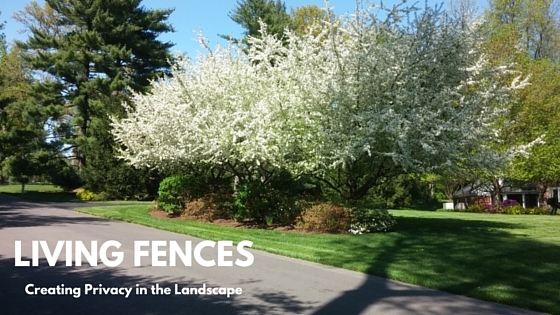 Traditional fences aren’t the only way to achieve privacy around the home or landscape. Many homeowners today are turning to living fences as the ultimate ‘green’ privacy screen. What is a Living Fence? For most homeowners, the word ‘fence’ conjures images of backyards surrounded by neat rows of uniform wooden slats and supporting posts, or perhaps one made of vinyl or wrought iron. Attractive and useful, these traditional fence styles have their place, but they aren’t necessarily the best solution for everyone. Today, many homeowners are embracing the use of living fences, using massed planting of trees, shrubs, and even perennials to mark boundaries, hide undesirable views, and even to create living privacy screens in the landscape. These living fences are often an effective and attractive solution to visual challenges around the home. 1. Versatility – Living fences can be any shape, size, or depth depending on the homeowner’s needs, and can often be blended into existing landscape designs or themes seamlessly. 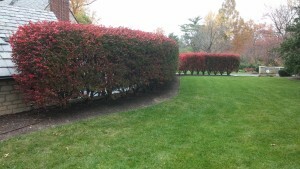 One of our favorite living fences – this row of mature Burning Bushes puts on a beautiful Fall display while creating privacy around this homeowners driveway. 2. Blocking Undesirable Views – While living in the middle of a suburb or city may be great for commuting, seeing the constant traffic on your street or discovering that your kitchen looks directly into your neighbor’s bathroom window may not be appealing. Planting trees, shrubs, and/or perennials can block undesirable views and potentially muffle sound, creating a more attractive space around the home. When planting around the home it’s important for homeowners to pay attention to how big the shrubs and trees will become over time to avoid overcrowding the available space. 3. 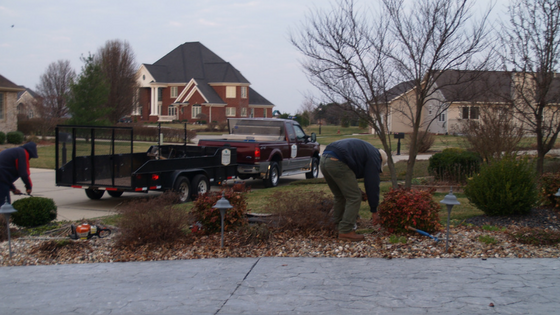 Creating Strategic Privacy – Not every homeowner is interested in maintaining large garden beds or has the space to install them. Yet there’s still a way to create privacy, by using specimen plantings or container gardens strategically situated in front of windows and doors. 4. Reducing Noise – Mass plantings of trees, shrubs and perennials block more than undesirable views – they can also effectively block sound waves. More and more homeowners are turning to massed plantings of a blend of trees, shrubs, and perennials paired with walls to create a quiet, peaceful space in their own back yard. 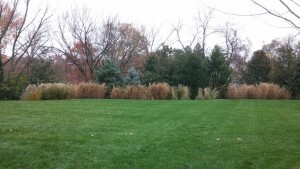 A mixed planting of evergreens, deciduous trees, and a variety ornamental grasses creates year-round seasonal appeal while effectively muffling traffic noises. 5. Directing Traffic Flow – Almost every homeowner has that certain part of the yard they wish guests and neighbors wouldn’t walk through. Sometimes the solutions is as simple as creating a sense of boundary with a green screen – however large or small. Thorny plants such as barberries and shrub roses can be particularly attractive deterrents. 6. Enhancing Aesthetics – While traditional fences can be attractive, living fences provide a unique opportunity to create an aesthetic that appeals to all five sense: sight, sound, smell, touch, and (when planting with edibles) taste. Our favorite living fences are composed of mixed plantings of evergreens, deciduous shrubs, and perennials that provide an array of colors, textures, and fragrances to be enjoyed year round. 7. Creating Wildlife Habitat – By foregoing a traditional fence in favor of a living privacy screen, homeowners can create a diverse wildlife habitat that provides both food and shelter without blocking animal movement. Over the last 20 years we’ve installed and maintained a wide variety of living privacy screens for our clients, making observations and developing best practices as we worked. Today, we’d like to share some of those practices with you. 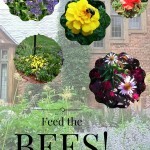 One of our biggest recommendations to anyone considering installing a living privacy screen is to embrace biodiversity from the very beginning, especially in larger plantings. Large installations of any single species are particularly vulnerable to pests and diseases – if one plant is attacked by something, its neighbors typically have a high risk of crashing too. Use the 30-20-10 Rule to achieve an ideal mix of plants. Greens screens don’t have to be green. This homeowner gained privacy and a beautiful view that screened their entryway from a busy road by layering flowering trees, shrubs, and perennials. Before selecting plants for your living fence, consider whether you want it to unobtrusively blend into the background, or to stand out as an eye-catching element in the landscape. Stand out installations tent to have a greater mixture of textures and colors, while installations intended to be unobtrusive tend to be more uniform or complementary in hue. In either scenario, installations will benefit from using a mix of trees, shrubs, and perennials to achieve an effective screen at all heights. 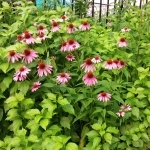 To create a low maintenance and seasonally interesting living fence, we recommend using a mix of native plants. Natives are well adapted to the climate in their region, and are typically more resilient against native pests, diseases, and weather extremes. As an added benefit, using natives provides food and shelter to local wildlife. Looking for more ways to create privacy in the landscape? Stop by our Pinterest boards for inspiration! Have a comment or question? 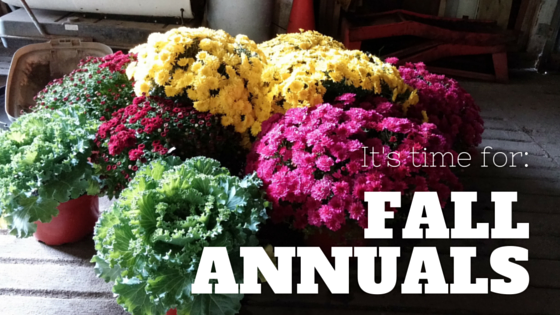 Stop by our Facebook page – we’d love to hear from you! Tehandón Landscapes and Trees	Landscape Design 0 Com. 13.02.2017, by Tehandón Landscapes and Trees 0 com. 28.09.2016, by Tehandón Landscapes and Trees 0 com. 01.09.2016, by Tehandón Landscapes and Trees 0 com. 02.08.2016, by Tehandón Landscapes and Trees 0 com. 02.06.2016, by Tehandón Landscapes and Trees 0 com.